Following Mr Pisal’s fantastic London Marathon 2018 effort in April we were able to present The Whittington NHS Trustwith a donation of £14,000. 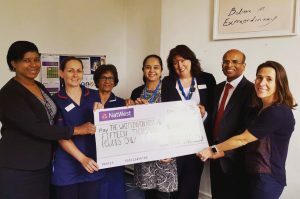 The money was raised through kind and generous donations from patients, friends and colleagues, with London Gynaecology also contributing £5,000. This donation will go towards new hysteroscopy equipment for the better diagnosis of endometrial cancer. 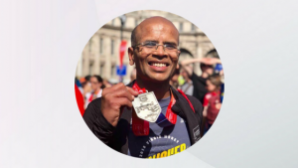 Mr Pisal has practiced at The Whittington Hospital for 16 years and is proud to be the gynaecological cancer lead. Mr Pisal and the rest of the team would like to thank all of the kind patients, friends and colleagues who donated to this fantastic cause. At London Gynaecology we believe it’s important to give back and support many charities throughout the year, especially those who raise awareness for women’s health and support those affected by women’s health issues. If you would like to read more about our efforts, please head to our charity page.